THE ACUNTO MARIO CLASSICO 10. WEIGHING 3 TONS AND HANDBUILT IN NAPLES, ITALY, IT BURNS YAKIMA APPLEWOOD TO REACH OVER 800 DEGREES AND CREATEs PERFECTLY BLISTERED, NEAPOLITAN-INSPIRED PIZZAS IN 2 MINUTES. hand-stretch our fresh mozzarella every day. many of our menu items can be prepared using vegan ingredients. Ask us what we can do! LOCATED IN BEAUTIFUL BELLINGHAM, WASHINGTON IN HISTORIC FAIRHAVEN, OUR DOORS OPEN CONVENIENTLY TO THE WELL TREKKED SOUTH BAY TRAIL. we have created a simple space THAT PROVIDES A CANVAS FOR INSpired pizza. On the first Monday of every month, we invite our community to discover Neapolitan style pizza at our All You Can Eat. We serve up Ovn classics from our menu and offer some of our newest creations. You will receive a green / red coaster. You will indicate to us - green side up: keep the pizza coming! - or - red side up: I'm full! We encourage you to try our gluten-free crust, you might be very surprised at how good it is! On these days we are closed from 2:00pm - 4:30pm to reset the restaurant for this special event. We are excited to expand our happy hour time and pass along some deals to you. Happy Hour is now 3:00PM - 5:30PM & 8:30pm to close, Monday - Sunday. 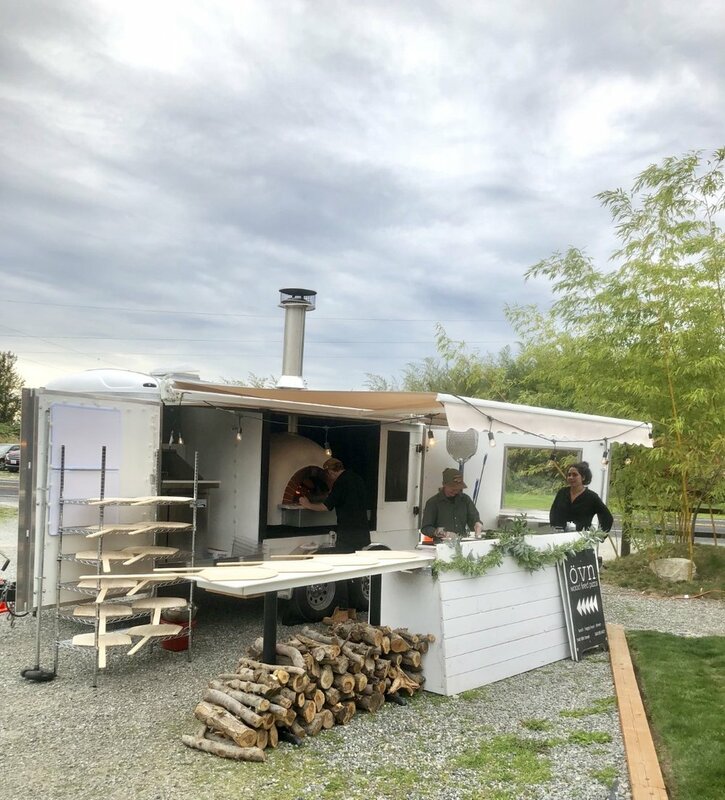 ANNOUNCING the debut of our mobile pizzeria & wood fired catering services!! Bringing neapolitan inspired pizza & wood fired goodness to all your celebratory shindigs! We are beyond excited to share our new catering oven with you all! THANK YOU everyone for all the incredibly positive feedback we’ve received with the launch of our catering services & mobile pizzeria. So amazing to have the opportunity to bring our pizza to you!